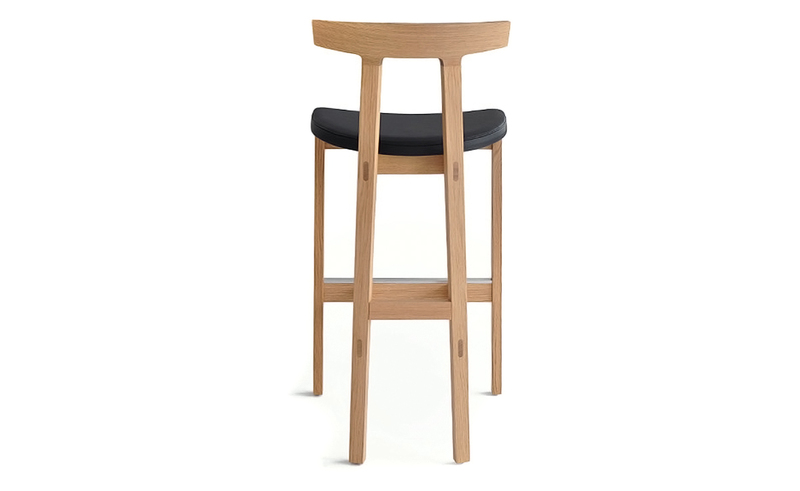 The Torii stool is an addition of the Torii chair collection, available in Bar and Counter height. 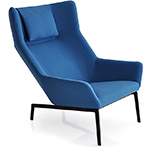 Like the chair, the design is simple yet sophisticated and defined by its characteristic arched backrest. 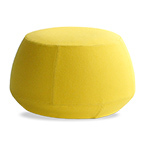 Its minimal appearance and simple construction hide a surprising amount of comfort and sturdiness. The name Torii comes from the characteristic wood entrance arches of Shinto shrines in Japan, which translates into English as “bird perch”. This motif perfectly describes the stools distinct proportions and traditional joinery, and the sense of harmony and calm inherent in design that is beautifully resolved. 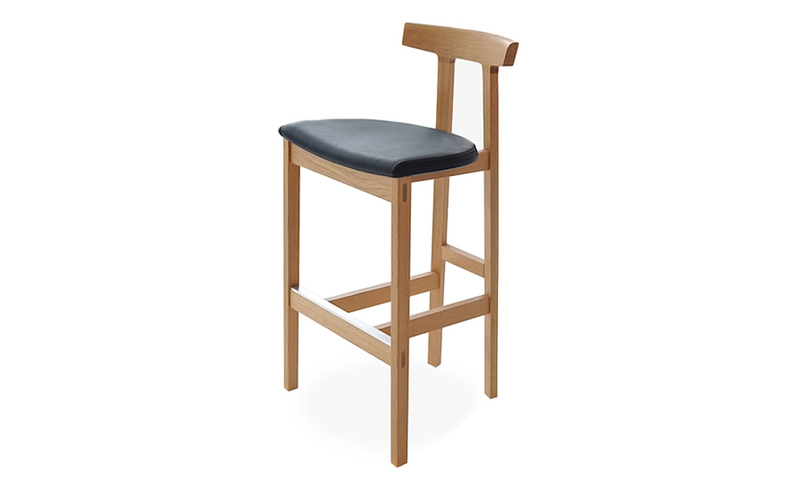 Torii is constructed using traditional exposed mortise and tenon joinery for the legs which is strong and expresses the honest intent of the design. 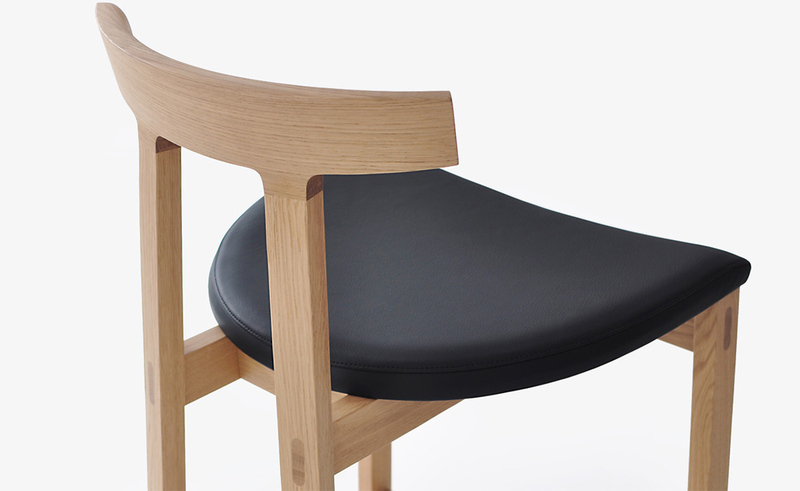 The arched back rest is cleverly joined to each back leg ensuring the critical joint will not fail or crack, while keeping the material thin and light. 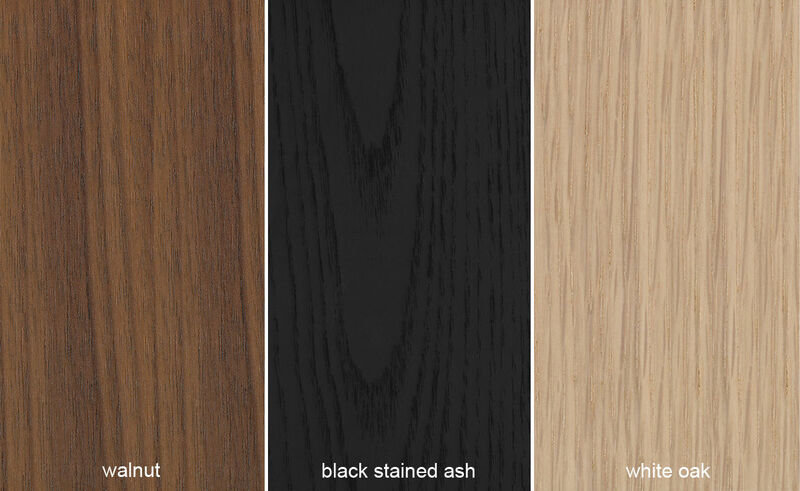 The finish is an advanced low build water-based polyurethane that gives the wood a natural open-grain appearance, which is smooth to the touch and durable. A solid aluminum foot rail protects the wood frame. 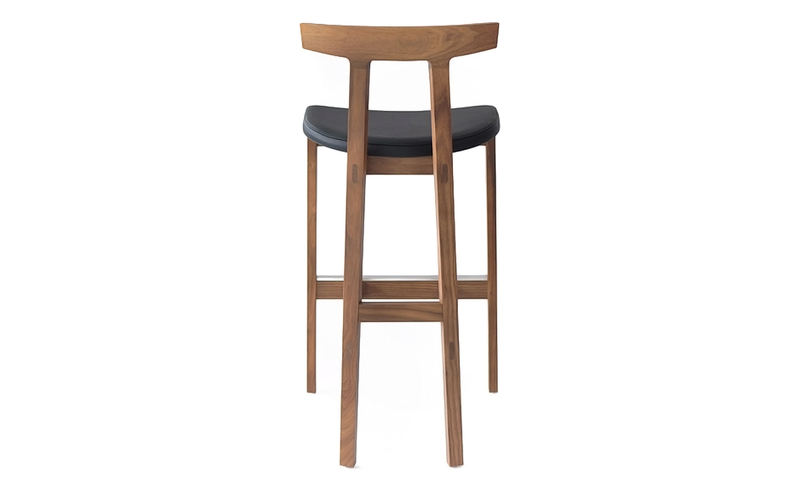 Torii stool is available in two heights in your choice of White Oak, Black stained Ash, and Walnut, with leather or fabric upholstered seat. 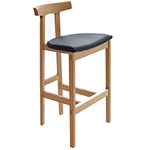 $785.00 + shipping in the continental U.S.
Born in Denmark, Niels Bendtsen and his family immigrated to Canada in 1951. In place of a formal design education, he trained as an apprentice for his father, who designed and built Scandinavain furniture. Through working with his father, Bendtsen gained valuable skills and a respect for non-industrial, hand-built traditions, but he was also intrigued by new technologies and ways to satisfy incresing demand. Between 1963 and 1972, Bendtsen had his own retail store where he sold his father's furniture, as well as imported Scandinavian designs. He designed small items for the store, but it wasn't until he was in his early thirties that he truly began designing furniture. 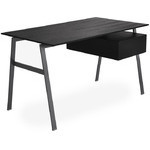 Dissatisfied with the quality and limited functionality of the furniture he received from his overseas manufacturers, Bendtsen sold his store, moved to Europe and became a full time designer. 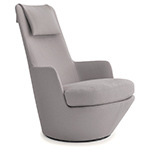 Bensen is a design and manufacturing group founded in 1981 by Niels Bendtsen. 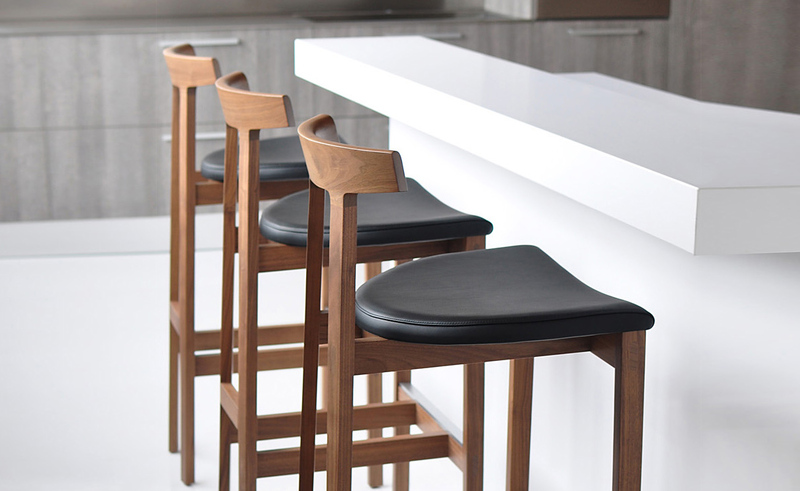 Along with his staff, Bendtsen designs and oversees production of an extensive line of furnishings. The Bensen philosophy balances simplicity and honesty so that the designs may continue to grow in today's ever changing world. Born in Denmark, Niels Bendtsen and his family immigrated to Canada in 1951. In place of a formal design education, he trained as an apprentice for his father, who designed and built Scandinavain furniture. Through working with his father, Bendtsen gained valuable skills and a respect for non-industrial, hand-built traditions. Chris, more than a month ago. 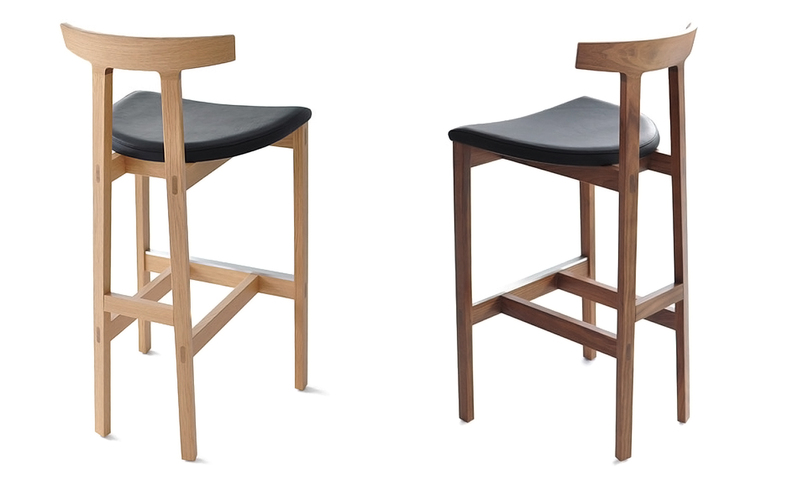 Our walnut and purple leather Torii stools are gorgeous and comfortable. We also appreciate how light weight they are. At 22 lbs they have not made any marks on our hardwood floor in the 7 months that we have been using them. 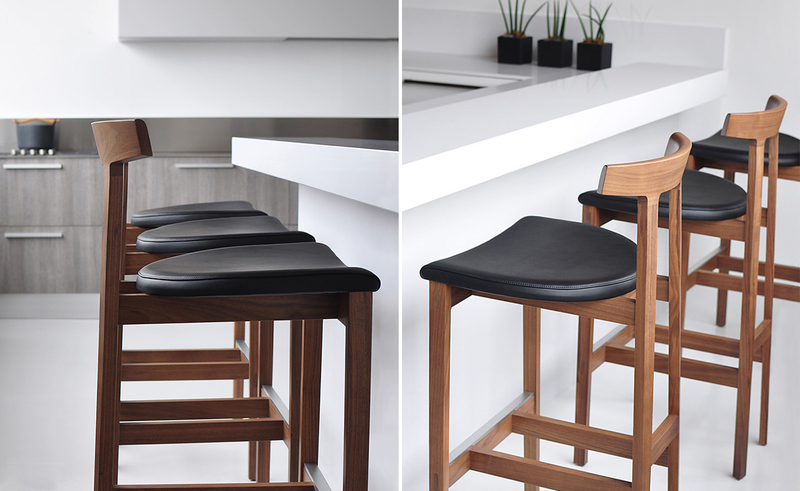 The 3 Torii stools are statement pieces in our new kitchen.